Borage Oil is a nutritional oil consisting of 60% Polyunsaturated Fats and approximately twice the average content of Gamma Linolenic Acid (GLA) as Evening Primrose Oil. 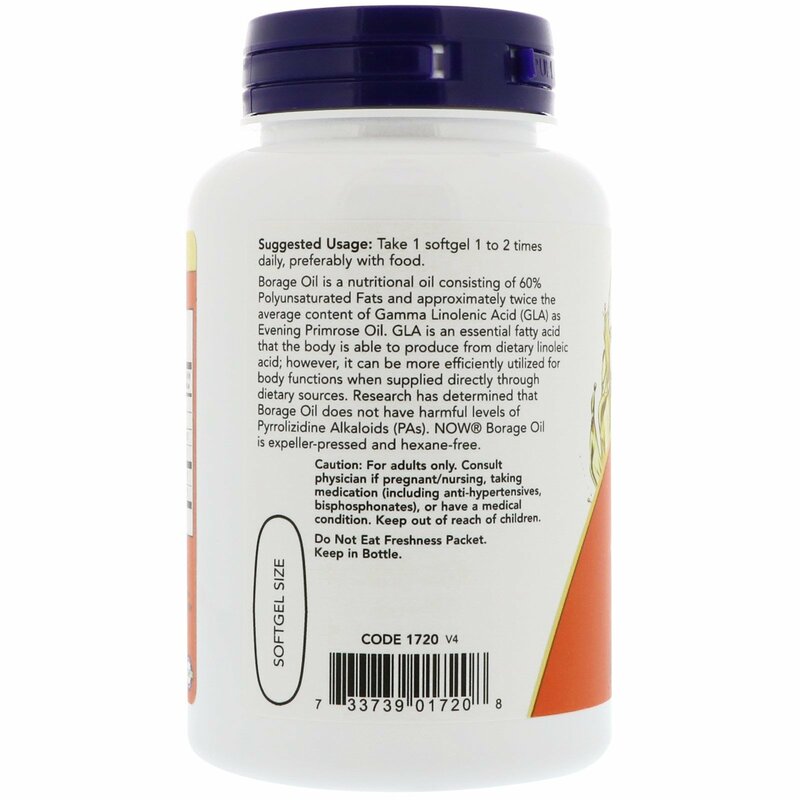 GLA is an essential fatty acid that the body is able to produce from dietary linoleic acid; however, it can be more efficiently utilized for body functions when supplied directly through dietary sources. 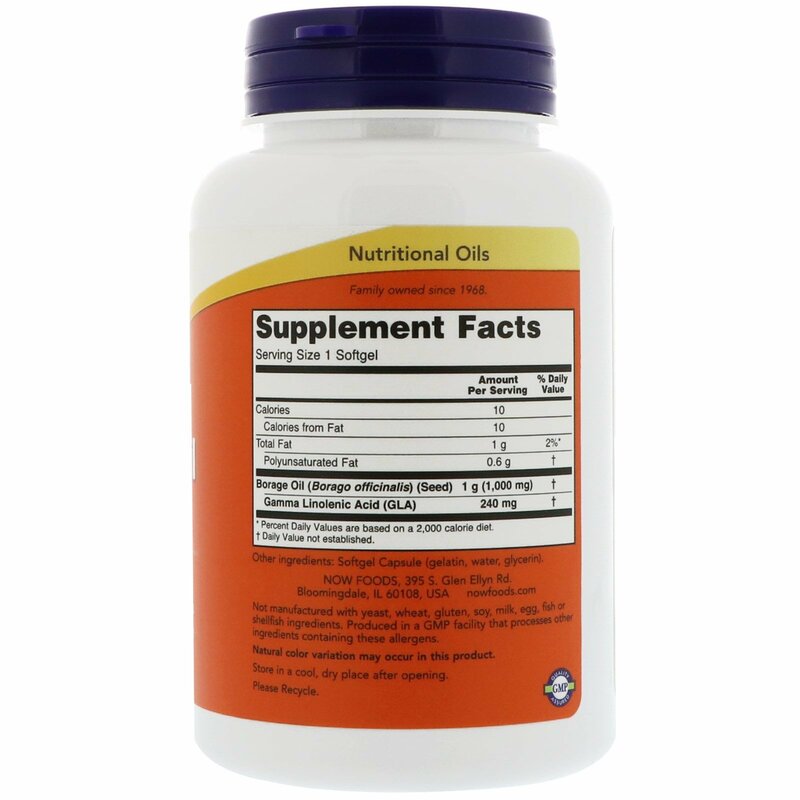 Research has determined that Borage Oil does not have harmful levels of Pyrrolizidine Alkaloids (PAs). 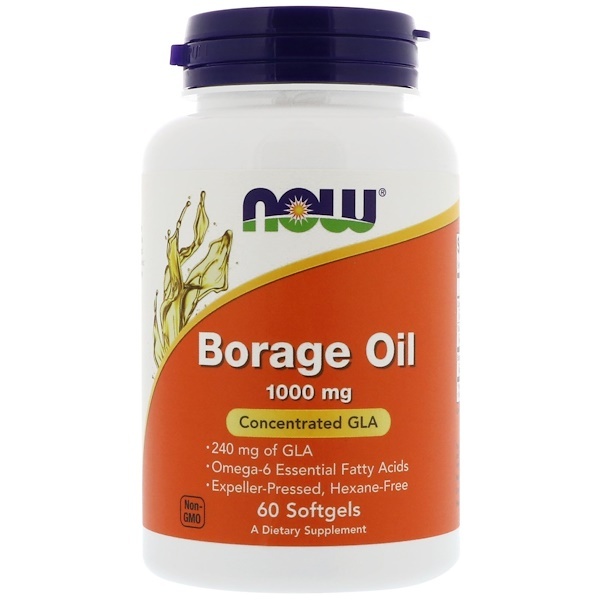 NOW Borage Oil is expeller-pressed and hexane-free. Take 1 softgel 1 to 2 times daily, preferably with food. Caution: For adults only. Consult physician if pregnant/nursing, taking medication (including anti-hypertensives, bisphosphonates), or have a medical condition. Keep out of reach of children.